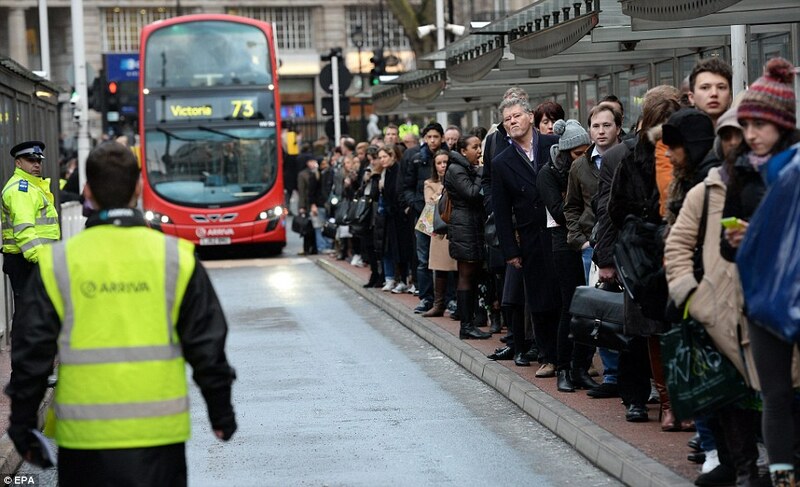 The tube strike strikes again! Was this you this morning? That’s a shame. Because this could have been you this morning. Yes you! Ok, so the weather might not have been quite so spectacular this particular April morning, but the feeling of freedom depicted here is yours for the taking. And all you need is a bike. How wonderful it feels to be impervious to the whims of tube drivers and their strikes. To have the liberty to move at your own pace, gliding past droves of downtrodden commuters, waiting for buses or trains or tubes to shuttle them from home to work and then from work to home again, and overtaking fuming car drivers spending twice as much time in traffic jams as using their accelerators. At a time like this I can’t think of any better mode of transport than the modest bicycle. Yet industrial action is not the only reason for ditching public transport in favour of two-wheeled travel. On a bike one is free from all manner of other trials and tribulations frequently suffered by the city commuter. One is free from the endurance test of the tube at rush hour, where survival of the fittest takes on whole new meaning. Suited gentlemen fight to the death for the last square foot in a packed tube carriage; young and old alike seek solace in their smartphones so they don’t have to catch a fellow Londoner’s eye or can pretend they haven’t seen the old man with a crutch who they should really offer their seat to; poker-faced persons hold their breath while their noses are moulded into the shape of their neighbour’s fragrant armpit; and everyone secretly curses those unassuming tourists that happen to have the misfortune of flying into Heathrow slap bang in the middle of rush hour. And who wouldn’t want to be free of the frustrations of the ever more imaginative and arbitrary delays to one’s travel on tubes, rail and buses? Be it leaves on the line, traffic jams, roadworks, signal failure, engineering works, a person taken ill on a train, faulty parts, adverse weather conditions or even, as occurred recently, liquid concrete flooding a control room at Victoria Station. One of the more baffling excuses for sure! For somewhat more plausible (albeit parodic) reasons for tube delays, check out @TlfTravelalerts. With strike action expected to disrupt services tomorrow and perhaps even into Thursday morning, this week is the perfect time to give TFL the finger, awake your bike from hibernation and experience the benefits of a bicycle for yourself. Or if your bike is beyond repair you can rent one of our trusty steeds here at London Bicycle. The only travel advice you need to follow this week is get hold of a bike and ride it! Jess is a cyclist, born and bred Londoner, and official blogger for London Bicycle Tour Company.